As a writer, I’m used to someone reading over my work to catch mistakes or give me feedback. As a grandmother, I’ve experienced so much joy seeing the world through my grandkidlets’ eyes. Exploring Paris for the first time happened to me twice. Once in high school, once when ManO and I celebrated our 25th anniversary. Seeing the city as he experienced everything for the first time, from real croissants to the Eiffel Tower (a dream for an engineer), was amazing. 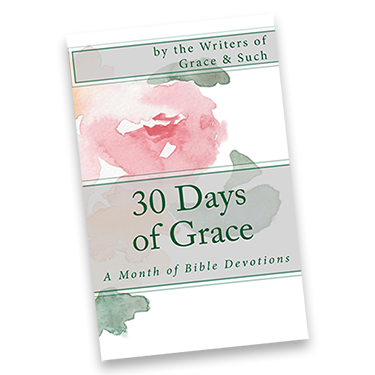 [pullquote width=”300″ float=”right”]God, grace, and sin seemed different when I looked through a lens[/pullquote]But — and it’s a big but — a lot of times we don’t have someone looking over our shoulder as we write. We don’t have children or grandchildren or friends of other cultures reminding us not to take the smallest thing for granted. We don’t get to revisit places we weren’t ready to appreciate the first time. Missed opportunities but also opportunities never received in the first place. That’s why I joined Instagram this year. You know, that photograph driven app that’s a cross between Twitter and Pinterest. Less clutter than Facebook. More about hobbies and interests. Originally photographers viewed it as a way to get faster feedback on their work. Teens gravitated to it because it wasn’t as fraught with concern about parental oversight. Me? Well, it started as a way to see grandkidlet photos not posted on Facebook. But it turned quickly into something more. To be honest, I’m really more of an auditory learner than visual. Prepping for hand surgery a couple of months ago, the nurse asked how I learn best. “Listening and having a demonstration.” If I’m just shown pictures of physical therapy exercises, it’s an epic fail. Give me words! Give me sounds! Don’t give me a paper map if we’re on a road trip together. You’ve been warned. Until something clicked the day I started doing a devotional based on word and photograph combos. The participant takes photos to represent the word. God, grace, and sin seemed different when I looked through a lens. It hit me I could do the same with Instagram. Scrolling through the app and filtering hashtags like #Jesus, #inspiration and #creation gives me new insights into how others look at their faith and God. To be even more honest, it often helps me expand what I think I know about people I follow on Facebook, maybe even the world. I see another side of them, how God works in their lives and mine. Now I have another way to examine own my faith journey with fresh eyes thanks to a social media app. What can you do when you feel like you are in a rut, unable to see clearly anymore, and need to find a way to look at the world with fresh eyes? It doesn’t have to be Instagram. Try a new way of Bible study like Illustrated Bible journaling. You draw pictures to interpret your verses rather than the same old answering questions or writing three pages on the passage. Visit a different church if you are a church goer. Whether it is just another church down the road or an entirely different denomination, there’s something to be said for a different sermon, music and message. Or if you aren’t, visit a new-to-you faith website or download an app. Get out of your comfort zone with your charity and volunteer work. Take your favorite hymn that you’ve started to drone through and run to YouTube. Seek out different versions. You’ll hear the words a different way. Read a memoir about someone’s faith journey but make sure it’s someone totally different from you. Look at life through their eyes. That’s just for starters. Most importantly, pray. God will help you lift the veil from your eyes. On that you can depend. Really good ideas, Julie!! Now that you have pointed these things out, I see where the change in perspective is helpful, and perhaps, necessary for our lives. And it brings new meaning to what my yoga instructor always tells us when we go into a Down Dog position….she says being upside down gives us a different perspective! Oh, that’s great. I love that. Thanks. ‘God, grace, and sin seemed different when I looked through a lens.’ Thanks for the new perspective, Sis. I have always seen my lack of talent, rather than my lack of perspective when I take pictures. I think it’s worth exploring with a different mindset. I like. Looking at things from a different perspective is one of the reasons I believe diversity matters, so thank you for that fresh perspective! Though I wish like anything that my husband were in a strong relationship with Jesus, the fact that he (and my son) is not is very good for me. I have incredibly good insight from him as to how Christianity sounds and feels from one who hasn’t bought in. I don’t alter my faith to show him Jesus, but I now to realize that some of the Christianese and statements that I can take for granted because of my beliefs aren’t as familiar, nor palatable to him. Keeps me on my toes with authenticity and a ready answer for why/how I believe what I believe. Thanks for this, Julie. I’ll continue to look for ways to change perspective to keep my own point of view fresh. Love your ideas and the new way you are using Instagram. It’s funny, we all learn differently but we tend to study the bible in the same ol’ ways. Your suggestions are great spiritual rut-busters. Recently in my small group, someone brought in one of their favorite hymns and read it out loud to everyone. It was powerful to hear the lyrics spoken and not sung- a fresh perspective.